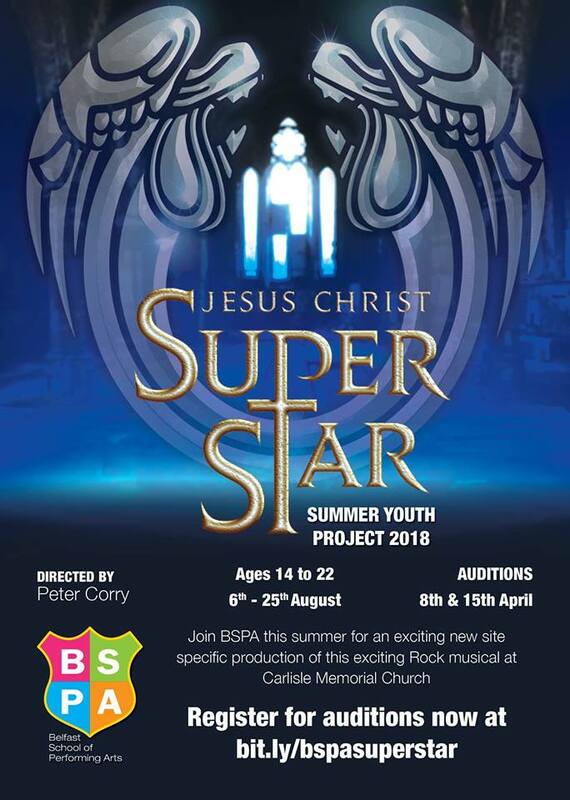 The Belfast School of Performing Arts (BSPA) are delighted to be presenting the iconic rock musical ‘Jesus Christ Superstar’ as their Summer Youth Project for 2018. This will be a new and exciting version of this world famous production and will be performed in one of Belfast’s most striking buildings, Carlisle Memorial Church, a building which has been afforded global recognition. Director Peter Corry will be holding auditions on the 8 and 15 April for young performers aged 14 to 22 years old. Musical Director will be Ashley Fulton and the production will be choreographed by Neil O’Brien.